True crime has taken over the podcast universe. In 2014, season one of Serial hooked listeners with the murder of high school senior Hae Min Lee and the arrest of her classmate and ex-boyfriend Adnan Syed. In 2017, Dirty John, the story of John Meehan and his manipulation and deceit of businesswoman Debra Newell, was downloaded over 10 million times within six weeks of release. With a lot of great true crime shows out there, here are some especially noteworthy ones that have captured the attention of a world fascinated by murder, mysterious disappearances, and conspiracy theories. Because of the mature material these podcasts feature, listener discretion is advised. 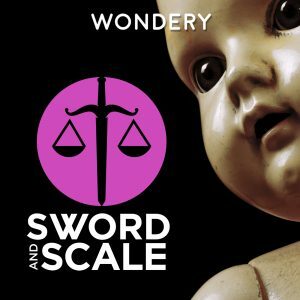 As one of the most singular, visceral podcasts in the true crime world, Sword and Scale has been telling intense stories of disappearances, murders, and conspiracies since 2013. From 19th-century serial killers to present-day heinous crimes, host Mike Boudet uses original audio, such as 911 tapes and trial clips, along with creepy atmospheric music. The podcast is created during Boudet and his contributors' free time, but there are already four seasons and over 100 episodes. Most episodes are extremely graphic, and a mature audience is preferred. Download and listen to Sword and Scale on Apple Podcasts, Player FM, Spotify, Stitcher, and the Sword and Scale website. This podcast's first season looked at one of the biggest unsolved cases on the East Coast: the disappearance of Jennifer Kesse, a young and ambitious woman living in Orlando, Flordia. Tampa-area elementary school teacher Shaun Gurd was so interested in the case, he began a podcast about it. 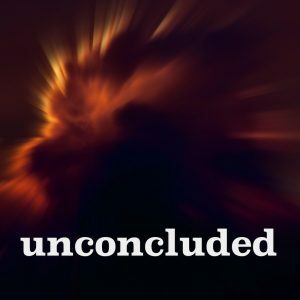 When it started in 2017, Unconcluded has about 15,000 downloads and by the end of the year, it has 300,000 downloads a month. It has also lead to half a dozen credible leads on Jennifer Kesse's disappearance. The second season focuses on Tiffany Daniels, another Florida disappearance case. It, too, has generated more credible leads and is very similar to the Jennifer Kesse case. Download and listen to Unconcluded on Apple Podcasts, Google Podcasts, Spotify, iHeartRadio, and Stitcher. Unlike Sword and Scale, My Favorite Murder has more of a comedic edge. 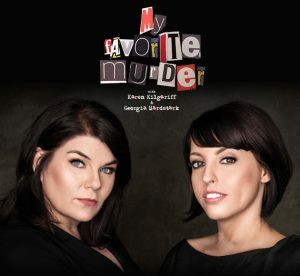 L.A.-based comedians Georgia Hardstark and Karen Kilgariff get together weekly to talk about murder and mayhem. Each comes prepared with a story to share, but they also fill the hour-long episodes with listener contributions and hilarious banter. They have a huge fan base and frequently go on live tours. Download and listen to My Favorite Murder on Apple Podcasts, Player FM, Spotify, and Stitcher. If you want a podcast that focuses on one story the entire season, there are quite a few of those. 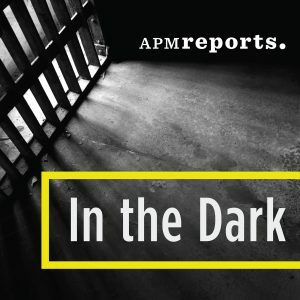 As of 2018, one of the most popular single-story podcasts is In the Dark. Created by American Public Media, the award-winning podcast has two seasons covering very different cases. In season one Madeleine Baran, an investigative journalist, narrates the story of the abduction of Jacob Wetterling. For 27 years, the disappearance of the 11-year-old boy remained a mystery, although the person responsible was practically right in front of law enforcement the whole time. In season 2 the story of Curtis Flowers, who maintains his innocence after being charged for a crime six times, is told. Complete with audio interviews, In the Dark is captivating true crime lovers everywhere. Download and listen to In the Dark on Apple Podcasts, Google Podcasts, Player FM, Spotify, Stitcher, iHeartRadio, and RadioPublic. Like Unconcluded, Payne Lindsey, the host of Up and Vanished, elected to focus on a missing-person case from his home state. In this case, it's Georgia. In 2005, the disappearance of ex-beauty queen and high school teacher Tara Grinstead in Ocilla became the largest cold case file in the Georgia Bureau of Investigation's history. Reviewing old leads and uncovering new ones, Up and Vanished went from six episodes to 24 episodes. Due to the podcast and new discoveries, the GBI arrested two men for the murder. As of The second season focuses on the disappearance of mother Kristal Anne Reisinger, who went missing in 2016. 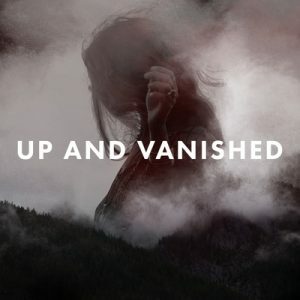 Download and listen to Up and Vanished on Apple Podcasts, SoundCloud, Player FM, Spotify, and Stitcher. 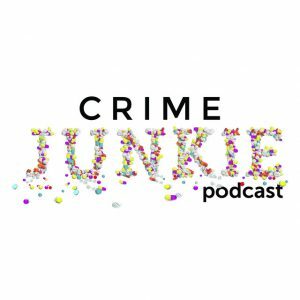 If you're obsessed with all things crime related, Crime Junkie is the podcast for you. Every Monday host Ashley Flowers tells you about whatever crime she has been obsessing over this week. Her storytelling is straightforward and free of rabbit holes, so it's easy to follow. Each episode is about different subjects of true crime, such as serial killers, murderers, missing people, and conspiracy theories. Recently, The Rolling Stone has listed Crime Junkie as one of the best true crime podcasts of 2018. Download and listen to Crime Junkie on Apple Podcasts, Spotify, Stitcher, and the Crime Junkie website. Hosted by "an anonymous host," Casefile is a series that deals with solved or cold criminal cases from around the world. Unlike many true crime podcasts, the series is scripted and relies on original police or mass media documents, eyewitness accounts, and public announcement recordings. Larger criminal cases, such as the Yorkshire Ripper and the Moors Murders have received multiple-week broadcasts. 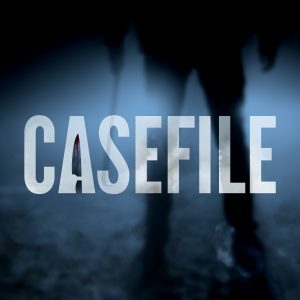 Casefile has received many awards and has been compared to Serial. Download and listen to Casefile on Apple Podcasts, Google Podcasts, Spotify, and Stitcher. Find one you really like? Make sure to subscribe to these podcasts to get new episodes and updates on past episodes. If you're interested in getting a bit spooky, check out these podcasts. If you want a true crime book worthy of a podcast, check out this booklist.